AMES, Iowa – David Acker, Iowa State University College of Agriculture and Life Sciences associate dean for academic and global programs, was elected senior vice president of the Global Confederation of Higher Education Associations for Agricultural and Life Sciences (GCHERA) at its October meeting in Cape Town. The organization brings higher education associations together to encourage global understanding and cooperation among higher education associations and universities. The organization also works to provide leadership, research and outreach in the agricultural and life sciences. Acker has served as an associate dean since 2005. 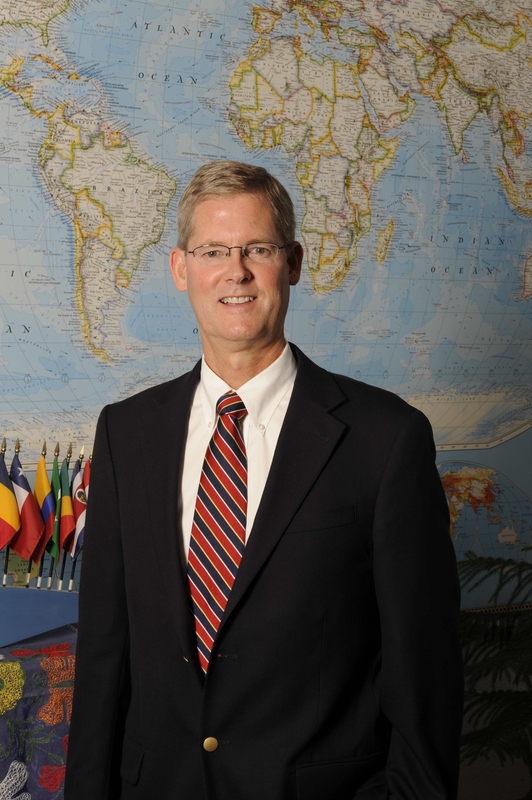 He joined the college in 1995, first as director of the college’s international programs and then as assistant dean for national and global programs. Acker also is a professor of agricultural education and studies and holds the Raymond and Mary Baker Chair for Global Agriculture. He has more than 30 years of experience in international agriculture and education, including directing agricultural and natural resource programs in Tanzania, Malawi and Senegal, and serving as a Fulbright Fellow in Greece. He earned a doctorate in vocational education from Oregon State University in 1989; two master’s degrees, in agricultural education and international agricultural development, from the University of California, Davis; a bachelor’s degree in agriculture and sociology from Wilmington College; and an associate degree in sociology from Alice Lloyd College. The GCHERA was conceived in 1998 on the 100th anniversary of the National Agrarian University in Ukraine in cooperation with Iowa State University, the National Agrarian University and the Humboldt University of Berlin in Germany. The organization has held biannual conferences since 1999 and more recently moved to annual conferences. The conferences provide an outlet for university leaders to discuss with government, industry and NGOs the challenges of the 21st century. In particular scarcities related to soil, water, energy and biomass; economic and environmental crises, and social problems and disasters. Such discussions support university leaders in framing their education, research, innovation and outreach strategies. David Acker, Iowa State University College of Agriculture and Life Sciences associate dean for academic and global programs, was elected senior vice president of the Global Confederation of Higher Education Associations for Agricultural and Life Sciences (GCHERA).